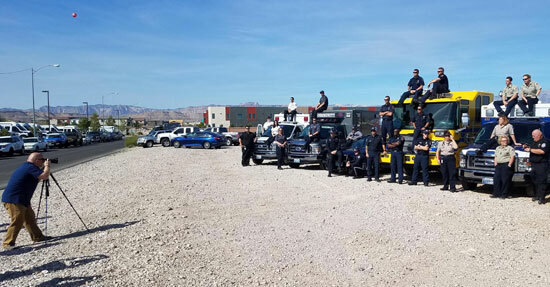 On the night of the horrifying mass shooting in Las Vegas, first responders from Metro Police, Nevada Highway Patrol, Clark County Fire, Community Ambulance, AMR, Las Vegas Fire & Rescue and Medic West rushed to the Strip to save as many lives as they could. Two weeks later, over two dozen of them reunited to share their personal experiences, offer each other support, and to pose for a group photo. They are all trained officers, paramedics, firefighters and EMTs, but none of them could have fully prepared for the tragedy on October 1st. It not only shattered any sense of normalcy, but also bonded this group for life. Heather Raasveld, an advanced EMT with Medic West Ambulance and a mother of two young children, was one of the first responders that fateful night. Heather and I have been friends for over a decade. We both live in Las Vegas and I immediately thought of her when news of the active shooter broke. The only way I knew how she was doing was through her Facebook posts. 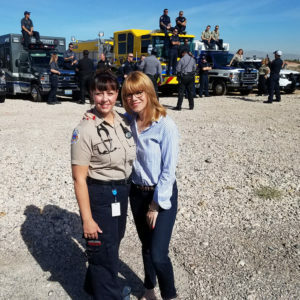 This has been a very difficult time for Heather and her family so I wanted to share her story and her efforts to help all of the First Responders heal. Heather and Canadian-based photographer and firefighter Daniel Sundahl organized this photo shoot to make sure those who came to help others are not forgotten. 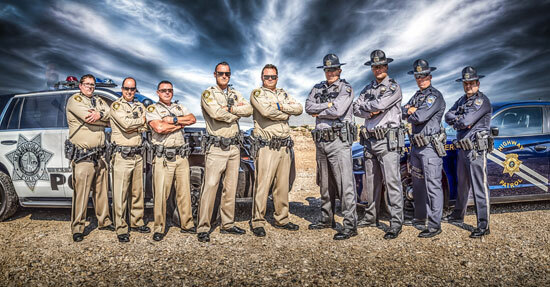 “It’s an integral part of our history as Nevadans, as Americans. It’s our 9/11,” says Raasveld. 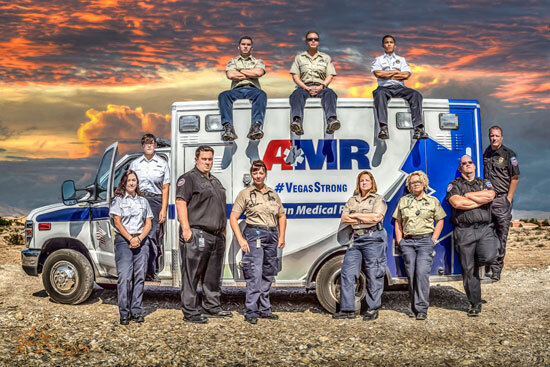 As a full-time paramedic, Sundahl says his artwork (a cross between photography and painting) is a form of therapy, and he’s glad to be in a position to promote their profession. Off-duty officer Charleston Hartfield, who came to the aid of several victims while attending the Route 91 Harvest Festival, lost his life that night. Sundahl is also paying tribute to him; if you look closely, he “ghosted” Hartfield into the photo on the far left so he could stand with his fellow Metro officers. 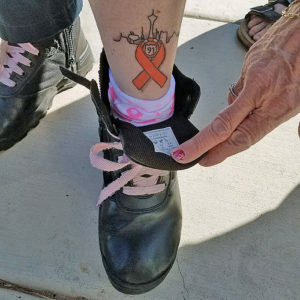 Medic West EMT Kit York, who transported security guard Jesus Campus after he was shot in the leg, says what happened will always be there so this reunion “means more than you can ever imagine.” To show her ongoing support, she proudly revealed a fresh Route 91 tattoo on her leg. Raasveld says bringing this “family” together again so soon after the shooting is instrumental in their healing process. 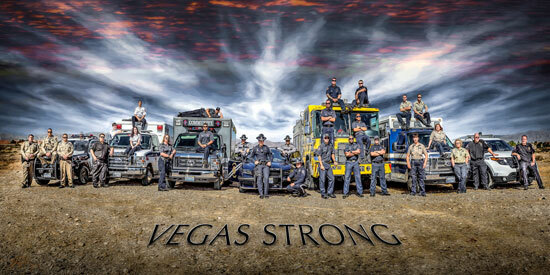 Sundahl says he is donating all the proceeds from sales of his “Vegas Strong” photo to the Las Vegas First Responder Mental Health Fund set up by Code Green. Learn more about how to order your copy of “Vegas Strong”, or to Donate directly to the Fund.